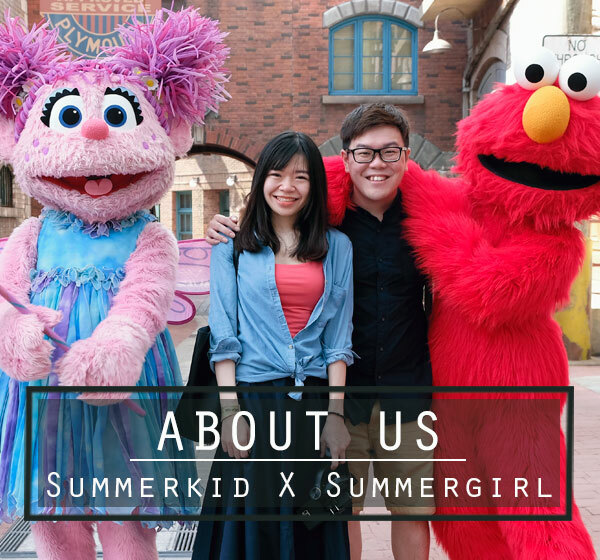 This MIGF, Sous Chef Siti Arini Darsom from Grill 582, Best Western Premier Dua Sentral will helm the kitchen to offer epicureans of one-off gastronomic adventure with her sumptuous 6-course festival menu for this special annual occasion. 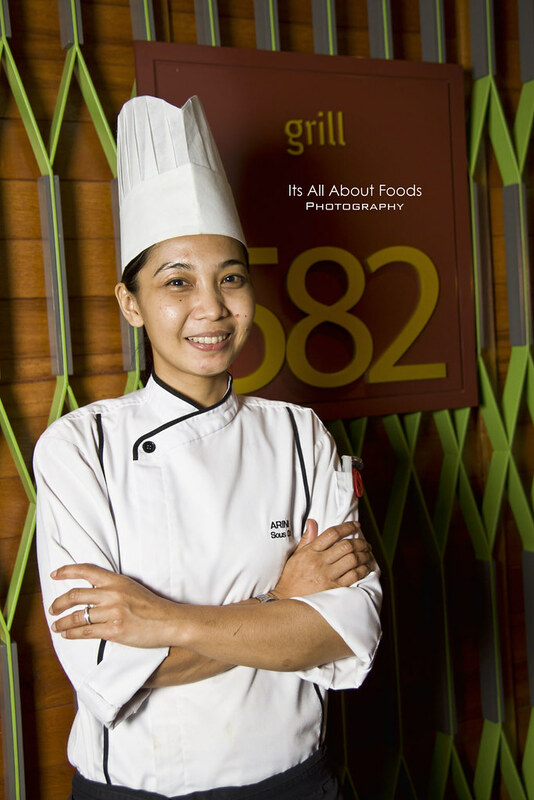 In her debut joining MIF, Chef Siti Arini Darsom ensures her dishes will suit even the most discerning palate. Using the freshest available ingredients, herbs, spices with clever combination of different cooking methods, colors, textures, flavours, tastes, layouts and presentations, diners can lay back and be prepared for a dining experience that is cute but clever, unique but delicious. 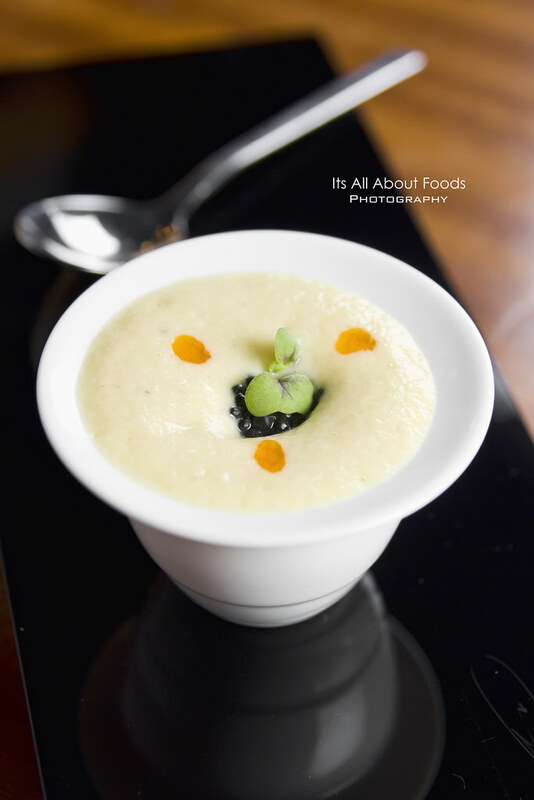 Start the gastronomic journey with Foie Gras Mousse, “Avruga Caviar”, Smoked Olive Oil. A brilliant starter that combines foie gras and potato, blends using unconventional method of nitrogen in siphon to create a collection of smooth, foamy and creamy mousse that brings subtle flavours out from the ingredients. Added with Avruga caviar and smoked olive oil for a touch of luxurious, as well colour. The starter is paired with Miguel Torres Hermisfero, Sauvignon Blanc, Chile 2010. 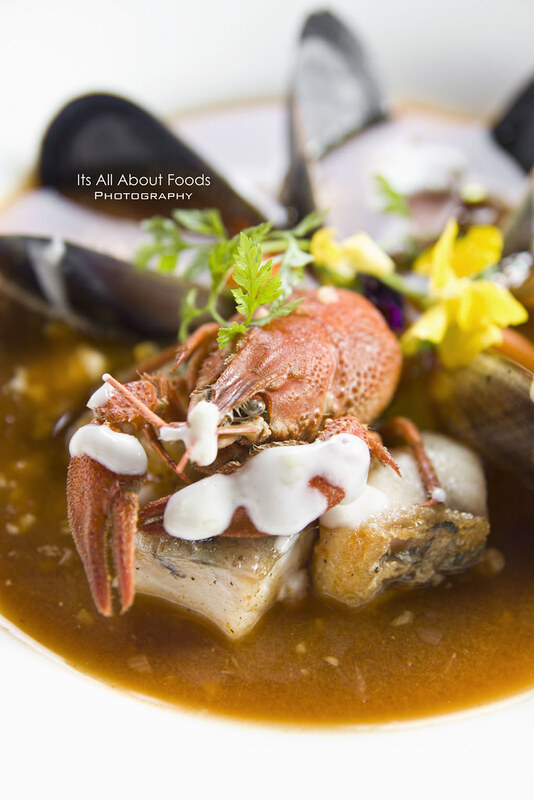 Coming next there is Seafood Bouillabaisse gracefully laced with mini lobster, freshwater Crayfish and mussels in a medium thick, vibrant orange soup. Soup is nourishing, gathering all the umami flavours and sweet essence of seafood, thickened with coconut cream and drizzled with lemongrass for extra bites and hints of fragrance. After the appetizer, served palate cleanser Lime Granitas, Seawater ‘Air’, a unique creation inspired from cocktail design. 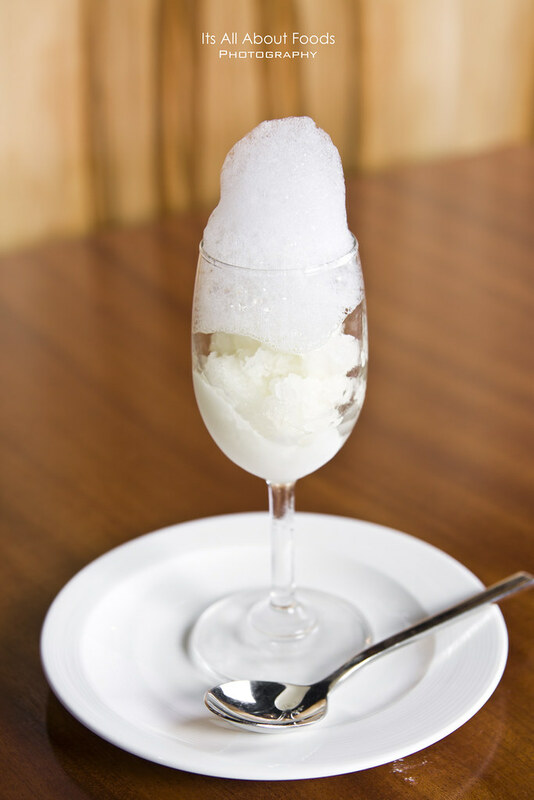 Nestled in a tall glass, this palate cleanser is bottomed with lime sorbet, topped over with salty, bubbly foam. Very chilling and refreshing with tangy and salty concoction. Definitely a successful palate cleanser that deserved loud applause for the taste, appearance and creativity. 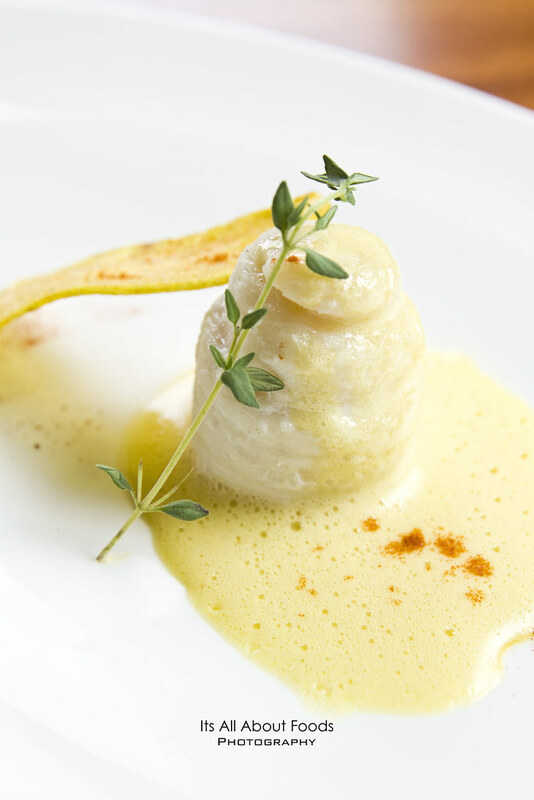 Dover Sole, air flown from Europe sits on a bed of Sabayon sauce. It is interesting to have Sabayon, the light egg base sauce meant for dessert being transformed into savoury by adding mustard and salt to create a creamy and smooth mixture, then dressed over the fish to complement its pale, clean texture. Sided with the course is a slice of banana crackers, humble but noteworthy for it adds on crispy munch in between the creaminess of fish. Great to see that the chef still remember to promote local good taste in this elegance Western course. As dessert arrives, it is another surprise. 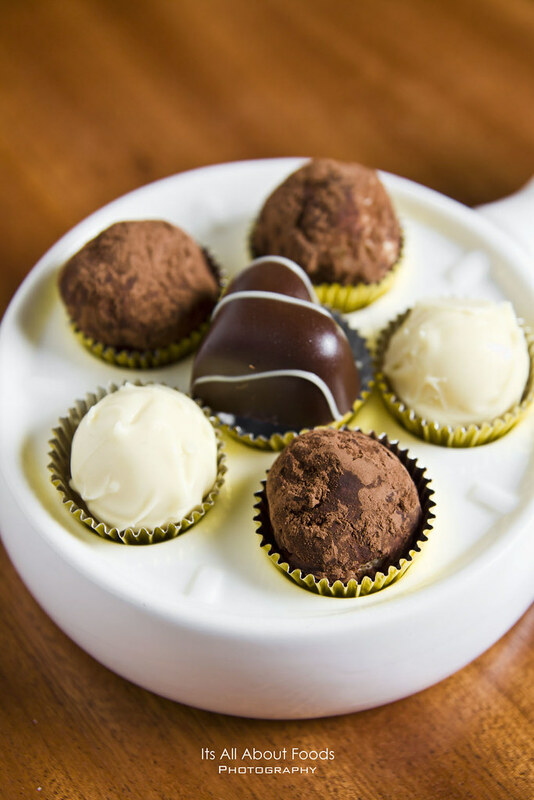 You may be used to have alcohol chocolate, fruit chocolate but this time, try out chilled Chocolate Chilli Chiboust, something more than just ordinary. 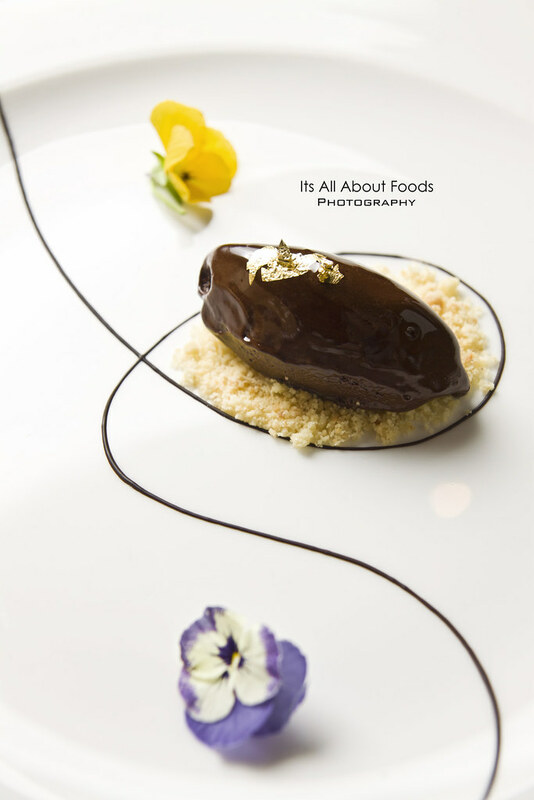 The chilli infused mousse is velvety soft and chocolaty, with medium strong aftertaste of chilli to fire up the palate. A playful flavour to end your meal with a sweet note. Good to go with Balbi Soprani Moscato D’Asti,Piemonte Italy 2008 which delivers a sweet, lively and long lasting floral fragrance. MIGF Menu at Grill 582, definitely a highly recommended top pick among all the restaurants. All dishes are prepared with care, handled with patience from planning to ingredient sourcing, dish preparation and decoration till they are served to ensure the best quality and taste for diners. A very good dinner that you will not regret, thousand thanks and thumbs up for the hardwork of Chef Arini and her team. 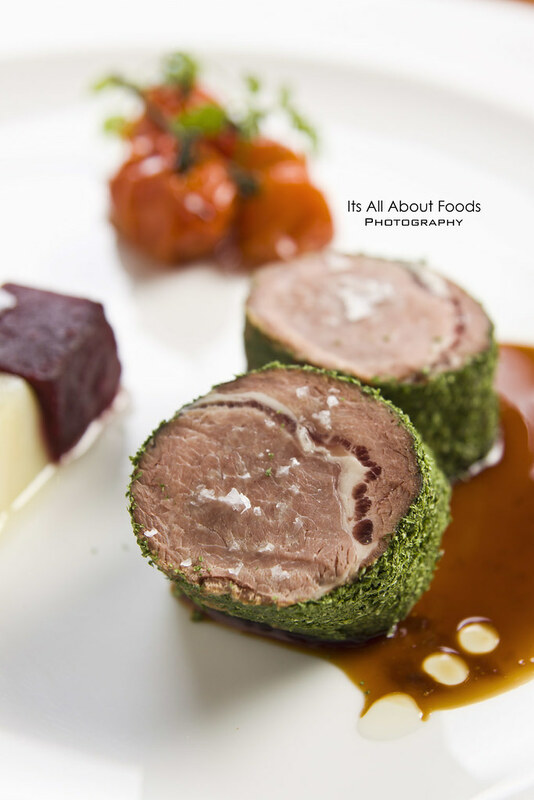 Grill 582 MIGF Festival Menu is priced at RM298++ per person with wine and RM198++ per person without wine. Light menu is also available at RM98++ per person without wine. For reservations, kindly contact 03-2272 8888(ext. 8786).